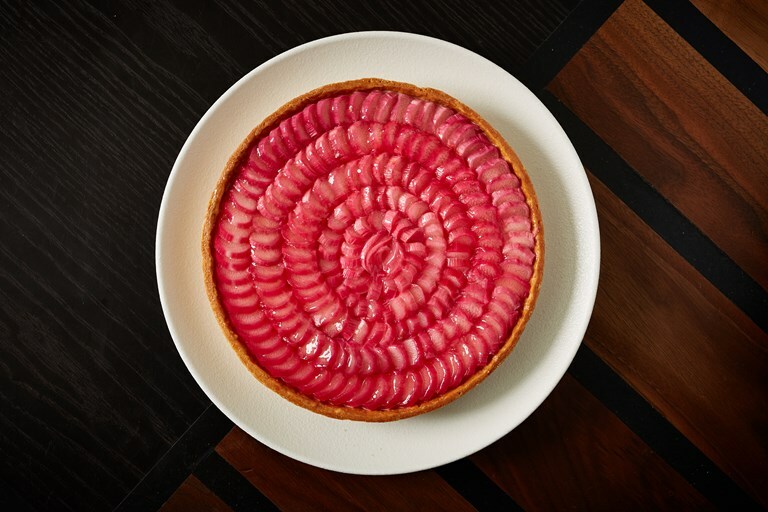 Concentric circles of sweet, tangy rhubarb conceal a perfectly set ginger-infused custard filling in this stunning tart by chef Lani Greenhalgh. 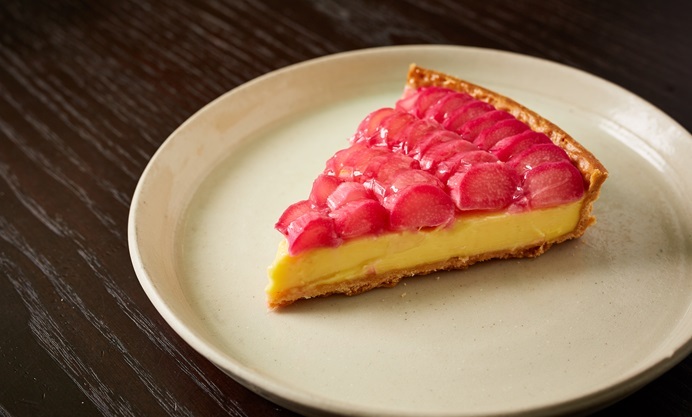 In a move of pure genius, Lani uses sugar as the filling in her blind-baking mixture, then uses this lightly toasted sugar to make the custard – providing an extra dimension to the filling. Check out our feature for more of Lani's sublime pastry creations. Lani Greenhalgh is a chef at The Laughing Heart in Hackney.